The second major application available to the X10 is MediaScape. Take everything I said about TimeScape and apply that to your music, photos, and videos. 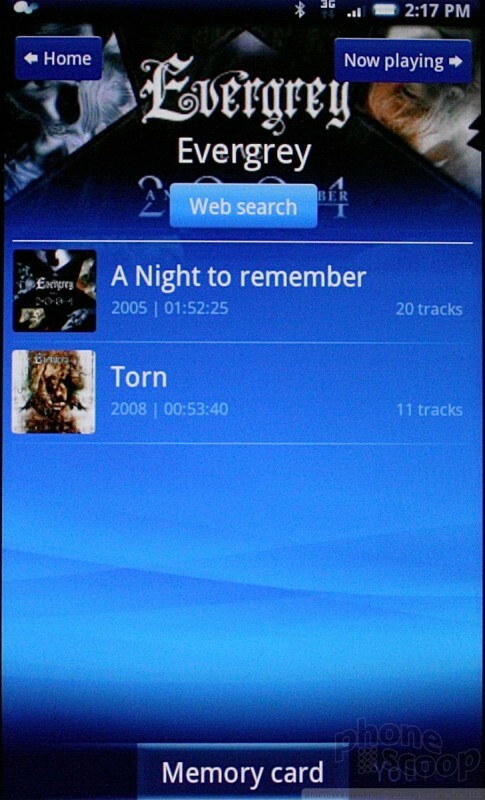 The three apps are interconnected via MediaScape, though they are also available individually from the main menu. The base MediaScape menu defaults to the music player. 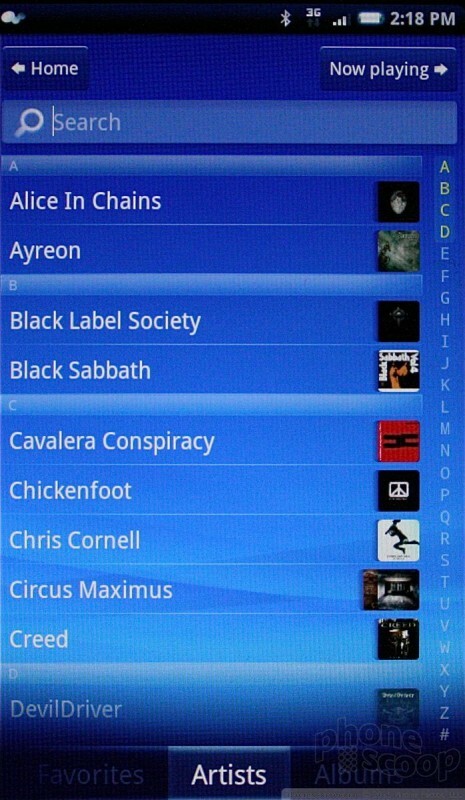 It offers a visual glimpse of what albums or tracks have been played recently, added recently, played the most and so on. Users can also sort via album, artist, song, etc. 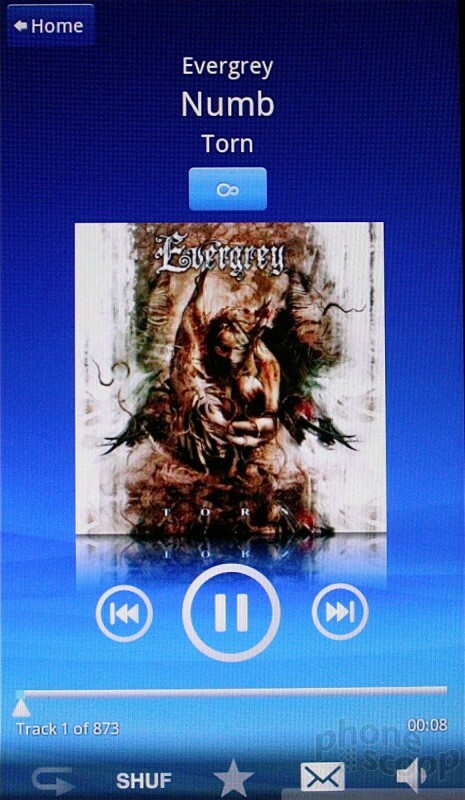 The player itself is one of the most visually appealing I have seen on an Android handset. It doesn't go out of the way to offer more features, but it looks great, and does really nice things with album art, such as using it as a temporary wallpaper during playback. 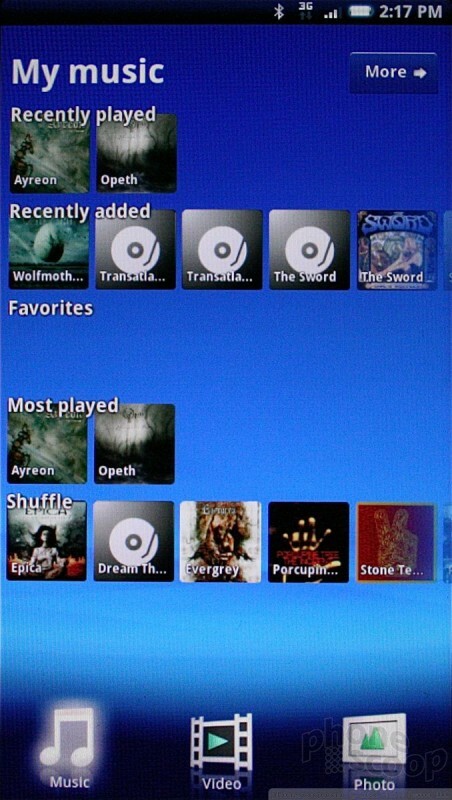 The player offers the usual playback controls, plus shuffle, loop and a shortcut that allows users to send the song via email. There's also the "infinity" button above the album art. Press it, and you're taken to a new interface that lets you conduct web searches for the artist, go to YouTube to see that artists videos, etc. Given how much attention Sony Ericsson paid to the user interface of the player, I am still disappointed that it didn't add an equalizer or any other way to adjust the sound of playback. After all, this is Sony Ericsson we're talking about. Its Walkman handsets easily outstrip the X10 in terms of overall features. Why leave out so many features?